Less than a month to go until the 2018 Melbourne Food & Wine Festival. Event are selling out so let’s take a look at the best, brightest and booziest events you can still score tickets to. 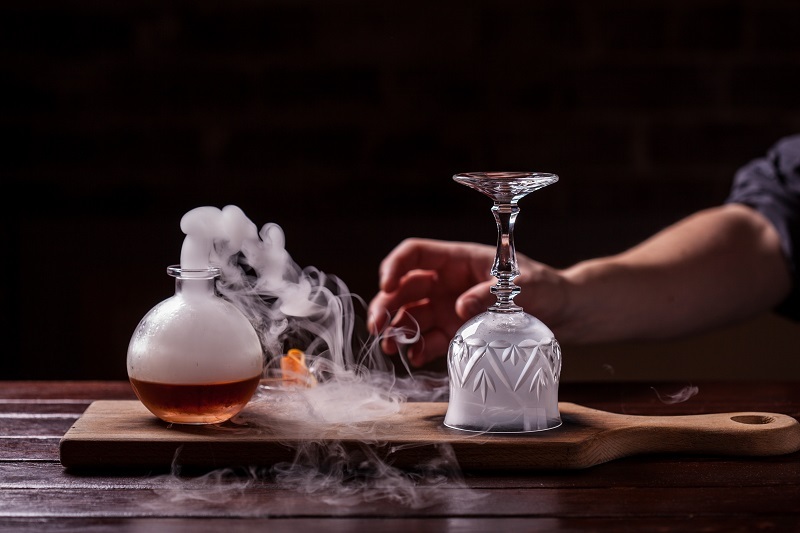 On A Historic Cocktail Journey, the Dinner by Heston Blumenthal team will take you through highlights of their cocktail list – plucked from the pages of history – with miniature version of their drinks. For our country friends, A Promise of Barmen: Tales of Liquid Friendship offers up behind-the-bar stories both tall and true at Rocks on Rosalind. Storytime continues, over drinks of course, at Eau De Vie with Famous or Infamous (pictured above) as the bar showcases some of their most well-known and wild creations. And newcomer Juliet, delves into technique: The F Bomb sees a trio of female experts explore the role of fermentation in food, wine and mixology. Globe-Trotting – Here’s an express ticket around the world! Bitter never tasted so sweet as the former Green Park Dining takes on Italy’s finest herbal concoctions in Get Bitter with Park St. Tequila and Mezcal from a quintet of Mexican producers are where it’s at, at Mesa Verde’s For the Love of Agave. You know how French Champagne is already a pretty exclusive club? Now you can explore drops by a group of vignerons who have formed an almost secret cabal within the region at The Artisans by the Champagne Dame. Kumo Isakaya brings Japan to us with Sustainable Seafood, Sake and the Gourmet Farmer. Craft sake is a thing. Partytime – Red solo cups and dancing shoes at the ready. The hidden Rose Garden room is the best hangout at Garden State Hotel; here’s a chance to find it as they spill out onto Duckboard Place for a Secret Garden Laneway Party. Nobu knows that all you need for goodtimes are two things. Guess what they might possibly be at their Sake and Whiskey Party. Rooftop…pool…party. Om Nom, Ezard and Lucy Lui are combining forces to host the Flinders Lane Neighbourhood Poolside Party. The Chill Out Sessions – Time for a relaxation degustation. Start your MFWF campaign in relaxed fashion. Dip your toes in the sand and sample wares from local wineries, breweries, cideries and distilleries at the #Beachsidewinedown at St Kilda’s sunset strip. 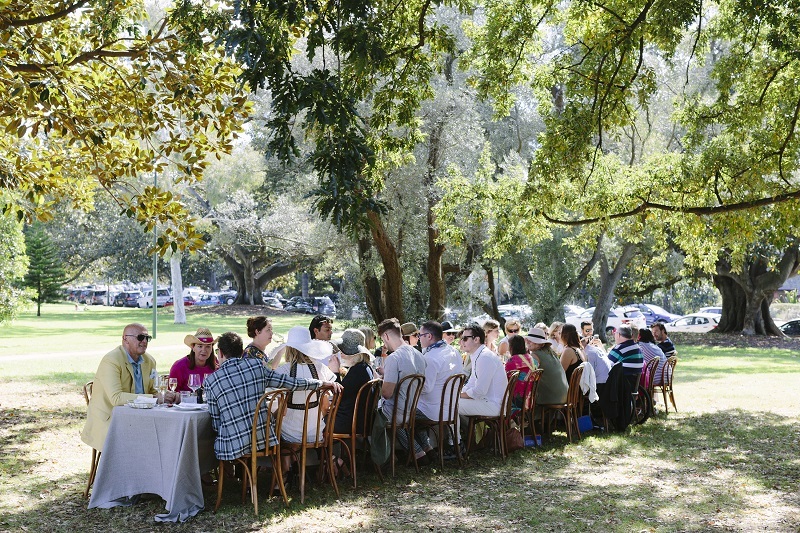 Feel fancy, fresh and French at Entrecote’s rosé-fuelled La Fête du Rosé (pictured below) in the park. Or be taken for a ride as you’re swept away on a 1920s stream train – laden with craft beer – for Ales on Rails. Perfect Match – It takes two to…taste. Who better to decide what to drink alongside a wedge of cheese than the cheese-makers themselves? Milk the Cow asks for their tips in a Maker’s Choice Cheese & Booze Matching Event. Transit Rooftop bar is matching multiple course of cocktails to Indigenous and hyper-locally derived dishes in their Tippler on the Roof session. Shadowboxer and Bass & Flinders Distillery come together for a Gin Botanical Lunch where gin cocktails are paired with a four course lunch inspired by gin botanicals. And finally, Vino Rapido is like speed dating except, instead of fending of unwanted attention, you’ll spend a few minutes stealing tasting notes and knowledge from rotating wine experts!